The Student of the Year Awards has been held for nearly 20 years, initially as a lunch event at the Belfry in Birmingham, and now as the very first award presented at the Cooling Industry dinner. The IOR has been closely associated with the Awards Ceremony and followed the careers of many of the finalists over the years. This has mapped closely to the IOR work to improve the range of its offerings to help support professional development with webinars, e-learning and regional breakfast Cool Talks, as well as helping to update Apprenticeship Standards. In our fast changing industry, employers and training providers are having to adapt content and delivery style to supply the sector with young professionals, who are not only “work-ready” but also fully grasp the market’s new and evolving technical demands. 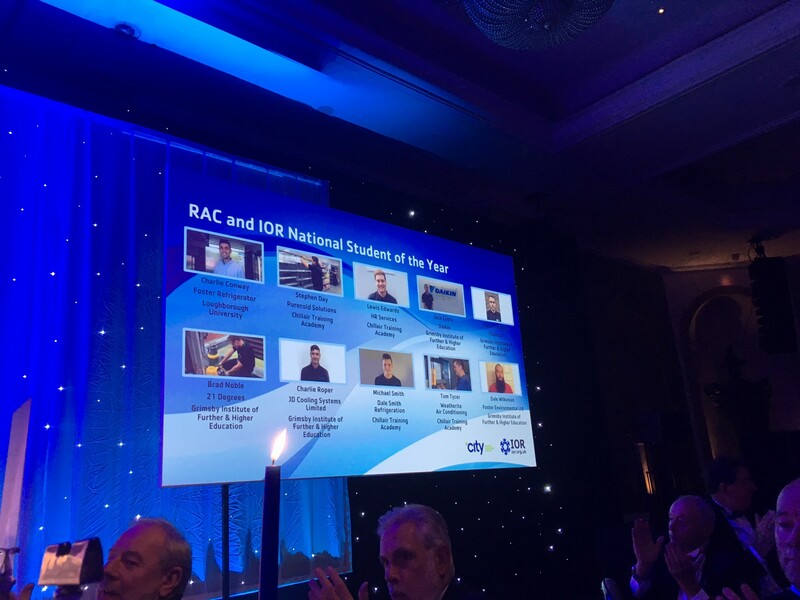 The RAC & IOR National Student Awards naturally celebrates those who have really grasped the opportunities the sector offers for challenging and exciting careers. For the IOR Education and Training Policy group it also provides a snapshot of training levels in the sector which is a crucial part of the IOR’s mission to improve standards. Each year, entrants continue to impress the team of volunteer judges selected from the IOR membership and Chaired by Roger Borer of the IOR, with their level of knowledge and dedication showing a high level of attainment. Along with details of their qualifications, experience, evidence of skills, professional history and examples of good work, the entrants were required to provide the judges with an insight into the students’ skill base, aptitude and knowledge. In addition, entrants are asked to explain in their own words why they considered they should win the award. The evidence is considered by the Judges who identify 10 finalists form the list of applicants who show exceptional levels of academic and practical achievements and individuals who give over and above the standard expectations in their work performance. 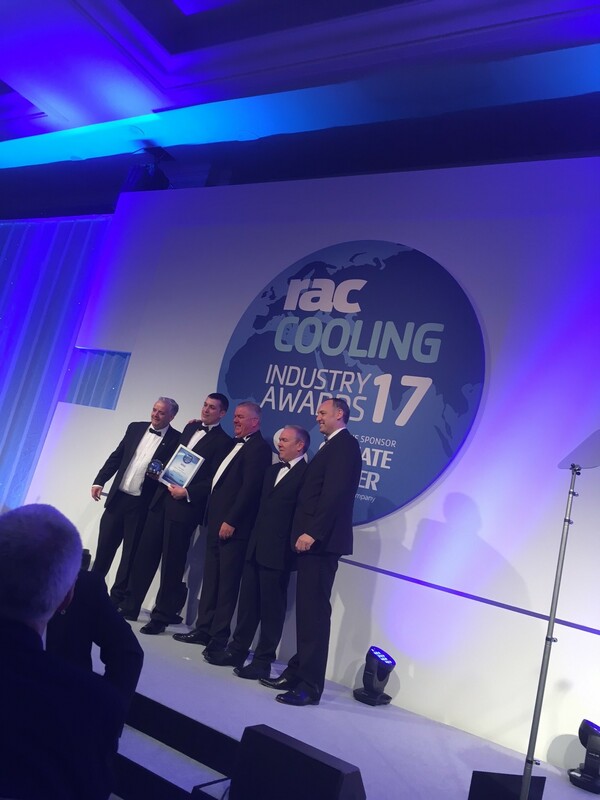 The ten finalists’ are invited to attend a special reception for students, their training providers and employers in advance of the RAC Magazine Cooling Industry Awards. From the list of ten a Gold, Silver and Bronze winners are identified and receive cash prizes. The IOR also recognises the outstanding commitment to their studies and to the industry of all 10 finalists with a years’ free membership. The IOR also provides them with many opportunities to continue to develop their career through access to IOR technical information, Codes of Practice, invitations to networking events and online training materials. We would encourage all employers and trainers to help us to identify and develop future talent by continuing to support these student awards as well as the high profile practical competitions that raise the profile of careers and student achievement in the sector. 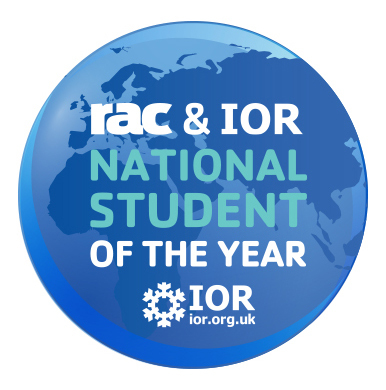 Entries for next years’ IOR & RAC National Student of the Year awards will open in February 2018.